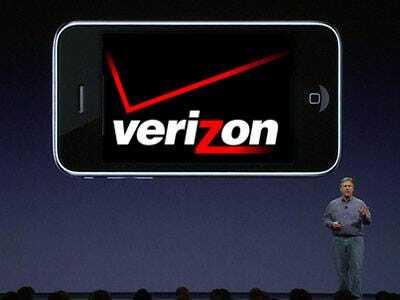 Apple’s iPhone is coming to Verizon, the Wall Street Journal reports, citing people briefed on the matter. Apple has been an AT&T exclusive in the United States since its launch. The Journal reports the CDMA version of the iPhone, which will operate on Verizon’s network, is being built by Pegatron Technology. The Journal says Pegatron will start manufacturing the new CDMA iPhones in September. It is unknown when they go on sale. The Journal also says Apple is developing a new iPhone. Whether or not this means new form factor or what, isn’t clear. It wouldn’t surprise us if Apple refreshed the iPhone line, though. Verizon is the nation’s largest carrier, and believed by many to have a network that’s superior to AT&T. A deal between the two companies should dramatically boost iPhone sales for Apple.